Friends. This post is to introduce you to the South Bank Road, who will become my intimate friend for 430km beginning on July 7. 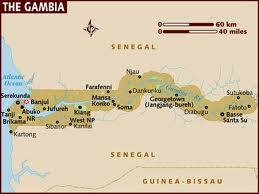 Geography is on my side in The Gambia. The self-professed “Smiling Coast of Africa” is the smallest country on the continent. 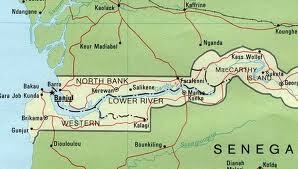 The Gambia River runs straight down the centre of this small country with exactly one main road above the river and one main road below the river; aptly named the North and South Bank Roads. 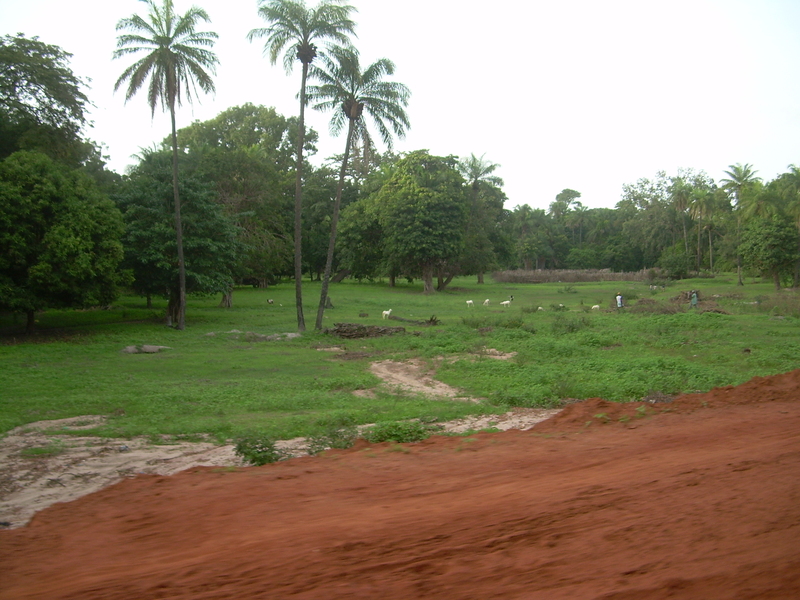 The river used to be the most important transportation route in The Gambia. Until the mid-1980s a passenger ferry sailed the flow. When she was dropped, mainline traffic shifted completely to the South Bank Road. On the recommendation of the excellent Gambia NSGA staff, I’ll be running along the South Bank Rd because the communities bordering it are larger. In the summer of 2007, I met 150 kms of my future road mistress as Ashley and I travelled to Tendaba River Camp for a holiday. This 150km journey took about 5 hours. Might you be wondering how it could possibly take 5 hours to drive 150kms on a road? Because you should be. The reason is: the South Bank “Road” can barely be classified as a road in some parts. 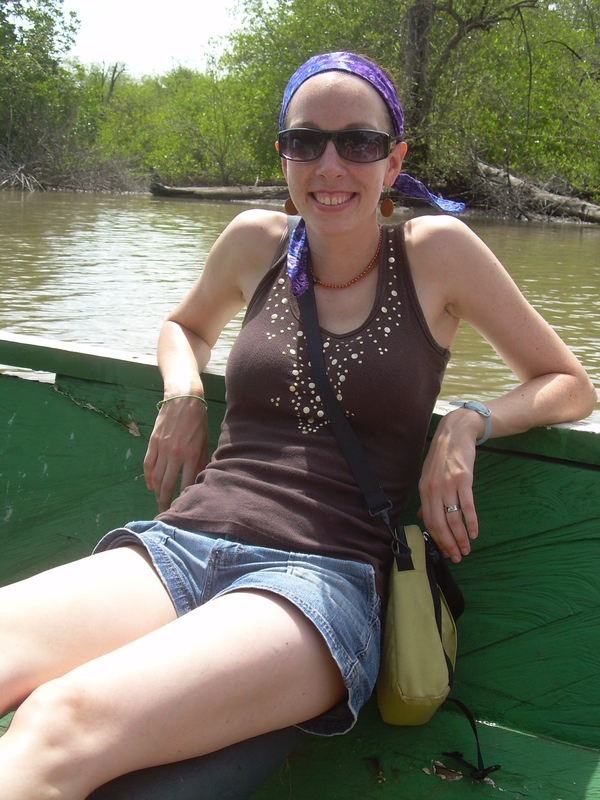 While writing this, I asked Ashley if she remembered how long this journey took. She replied, “I think 5 hours but it felt like 5 million.” And remember it is about 40 degrees outside. And inside the vehicle travelling for 5 hours. 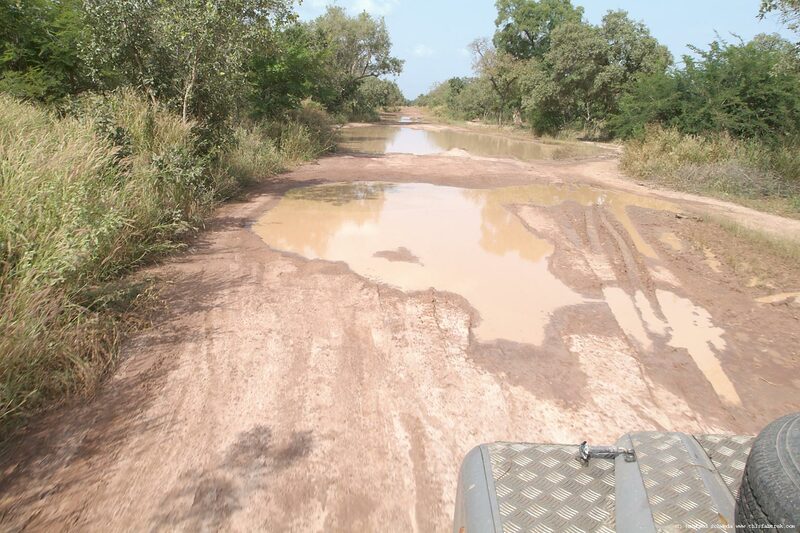 In 2007, I would estimate that the road was paved for about 90 km outside of the capital city Banjul. Beyond that, you find a dirt road with red soil, much like my beloved native PEI. While driving to Tendaba, I clearly remember pot holes large enough to engulf my entire VW Golf. Actually, “crater” would be a more apt description. There were literally trenches running through the road in place where the rain washed the road out. Due to these impressive potholes and trenches, for long stretches of road, our NSGA-manned SUV did not drive on the road. We drove on the land next to the road. It wasn’t weird. It was just what you did. And what everyone else did. Sometimes you couldn’t even see the road from the new-makeshift-path-beside-the-road. Occasionally, our driver would madly drive through the bush back onto the road. Now people, those are driving skills! a. Abbr. Rd. An open, generally public way for the passage of vehicles, people, and animals. This situation isn’t unique to the South Bank Road. 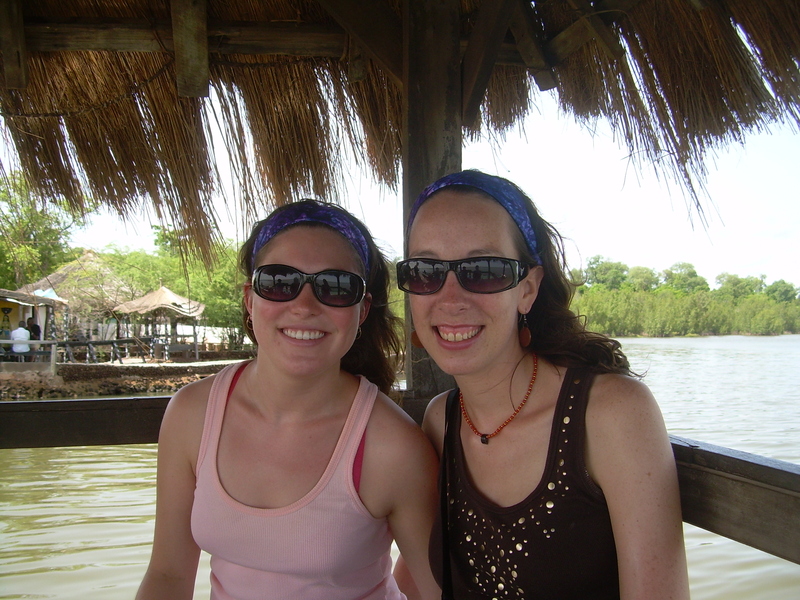 Ashley and I also went on holiday to Dakar, Senegal, which on the map, is 350km away. In an African car, it’s a 12 hour journey on roads and sometimes not-roads. Improving the South Bank is a government priority and construction has begun. Kebba will update you in a moment. You can also read more here. An unpaved road is actually a gift for a distance runner, especially the Canadian kind trying to run 430km under an African sun. A dirt road is softer than concrete and nicer for joints and muscles. A dirt road also reflects less heat from the sun than pavement. Now I arrive at the most important detail about the South Bank Road. The condition of the road doesn’t matter at all because the people who live along it are the most remarkable and friendly and awesome people you’ll ever meet. They embody the Smiling Coast of Africa. 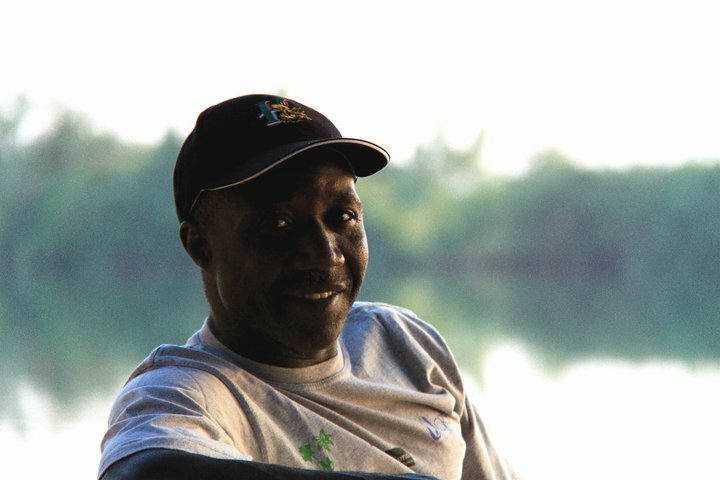 I asked one of these such people, the NSGA’s Kebba Susso, to give you more of an account of the South Bank Road. Take it away, Kebba! As Erin’s run is in the summer, its going to be wet and muddy. I will start in Basse and bring you to Banjul on the South Bank Road. 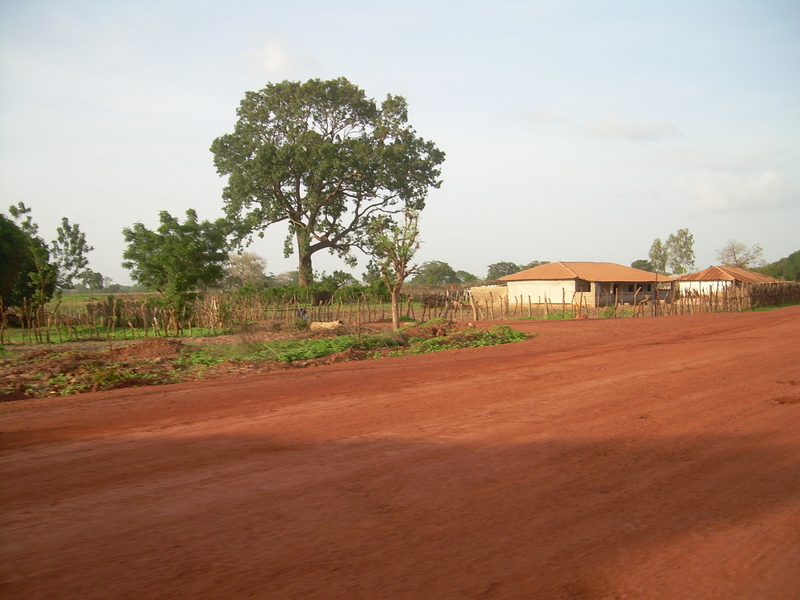 From Basse the road is under construction up to Borraba which is over a hundred kms. From Basse you have three high hills to climb and two bridges to cross. From there the road is very good, it’s a new road, up to Soma that is also about one hundred and twenty five kms. Soma to Bwiam its very bad and also under construction that’s also seventy three kms. From Bwiam to Banjul the road is very good and is one hundred and five kms. 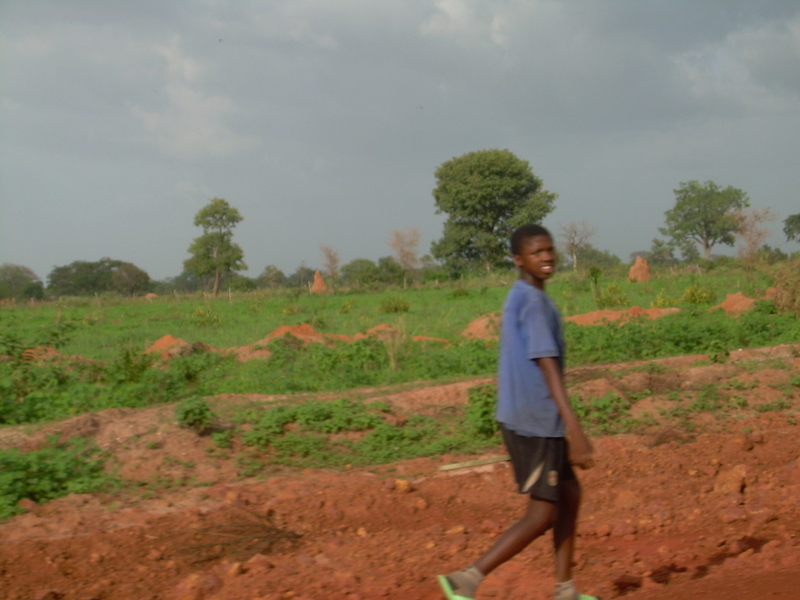 July is the farming season in The Gambia, so you will pass people busy working on their farms and the animals like cows,sheep and goats will be under control not to eat the crops. As you run pass the towns the people will come out to watch. There will also be weekly market days in some of the towns along the road that could cause some delay due to the crowd on the road. The land will be green if the rains come early in June and the land will be nice see. Kebba, you are so correct. It will be nice to see. This entry was posted in Running in Africa and tagged Africa, potholes, rain, rainy season, running, The Gambia, the south bank road. Bookmark the permalink. I’ve got chills reading this…how exciting! You’ll have so many adventures on that road…I only wish you could wear a helmet-cam and record it all!! Guess we’ll have to rely on your excellent writing skills (if you have the energy to write!). It’s all feeling very real now!!! Did you get chills while reading about 40 degree heat? Cause I got sweats! A helmet-cam 🙂 We’ll capture some video for sure! It is getting so close. Is Kebba running with you or one of your support “crew”. I know your blog is going to be something else. With all of the publicity hopefully the media from here follow your trek for the 430k. You are doing a superb job raising awareness.